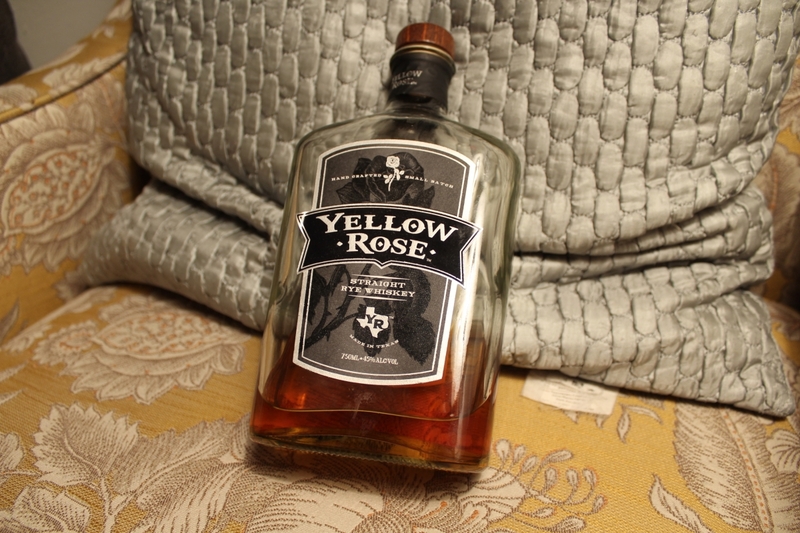 Yellow Rose Rye chillin’ on my yellow chair. Many people sipping American whiskey can get stuck in a rut bouncing between two states — namely Kentucky and Tennessee. But there’s amazing whiskey being produced all over America (one of my favourites is Rittenhouse Rye, made in Pennsylvania.) Recently I added to this list with Yellow Rose Straight Texas Rye. Yellow Rose Rye originally caught my eye because I live near the least well-stocked liquor store in the city, and to see a whiskey I haven’t tried (let alone one I’ve wanted to try) is an exceptional rarity. With it’s gorgeous grey label and the dusky fluid contained, it was hard to pass up a chance to give a proper tasting to this Texan icon. To be entirely honest, my hopes were low off the bat. Sure it looked good, pouring a clear brown copper into my glass, but the nose can only be described as “muted.” Certainly there was the rather robust alcohol fumes, but it took a few good snorts to parse any real scent from Yellow Rose Rye. What was there, however, was quite pleasant. There was an evergreen tree scent, sort of like a cross between cedar and pine. Underneath that was a very subtle molasses, and a faint sweetness. It certainly seemed to lack the oomph that some of its rye-grain kin pack. Thankfully, what it lacked on the nose, Yellow Rose Rye made up for in flavour. Right away, the mild evergreen surged to the front with a nice freshly-rained-on forest, with a backbone of hardwood sawdust. There was a touch of fresh herb (like mint) and an undercurrent of black pepper. Actually, it was the lack of a real pepper-punch which surprised me — many other whiskies that punch in Yellow Rose Rye’s weight class are powerfully spicy. This whiskey brought a more subtle refinement to the table. The finish was nice and sweet, almost a touch syrupy but without becoming cloying. All in all, Yellow Rose Rye is a fairly unique whiskey, one which I think would be uniquely suited to rye-based cocktails because of its unique flavour profile. It’s a good sipping whiskey too, and competitive in its price range. 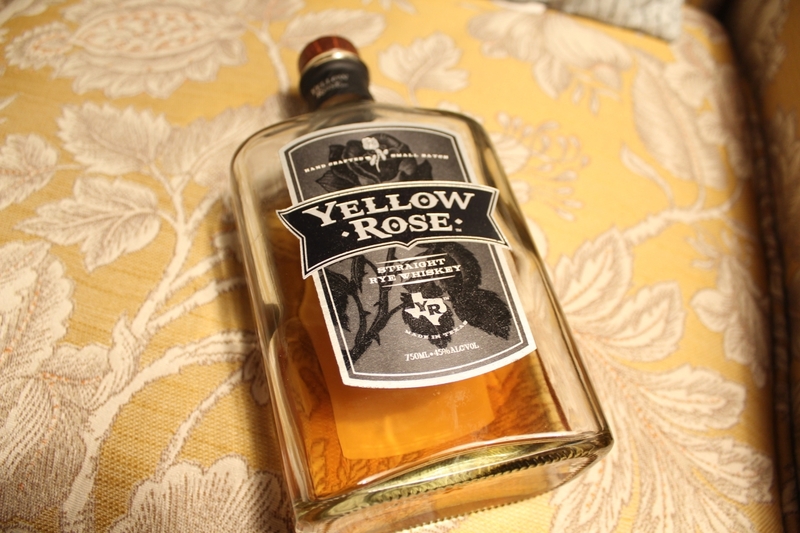 All in all, if you’re looking for something a bit different, I can recommend Yellow Rose Rye as a whiskey worth sipping slow.